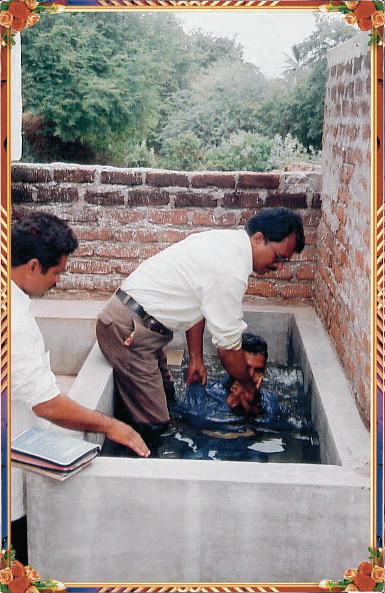 During 2006, Truth for Today World Mission School began the project Into All the World by 2015. The goal of this effort is to send the book Becoming a Faithful Christian (also called Seeking a Better Life and Into the Abundant Life) throughout the world over the next ten years. The targeted country for 2009 is India. We want to offer you an opportunity to help send the saving message of Christ to perhaps millions of lost souls across India by sending them a copy of the this special book. Click here to learn more about the book Seeking a Better Life. Click here to read what our Indian brethren are saying about the book Seeking a Better Life. Truth for Today World Mission School has distributed thousands of copies of this book and knows first-hand of this book's ability to lead souls to Christ. 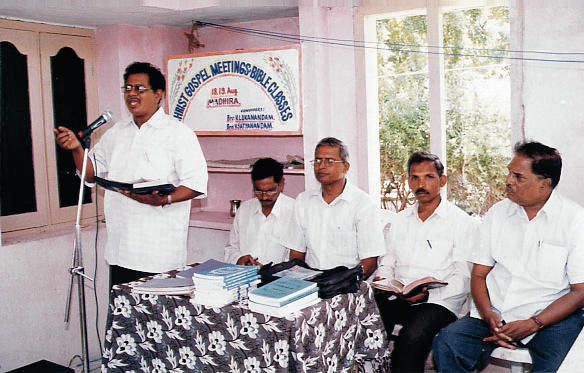 For example, in August of 2008, Eddie Cloer, the director of Truth for Today World Mission School, visited a congregation of about thirty members in Mumbai, India, that came into existence because they had received copies of this book and sought to become New Testament Christians. Results like this have taken place around the world. Thousands of copies of this book have already been sent out in India. It is available in Telugu, Tamil, Hindi, Malayalam, Kannada, and Punjabi. It is now being translated into Bengali, Marathi, and Nepali. Other languages, such as Urdu and Oriya, may be added in the future. Decide today to help financially in this effort. An urgent need exists for one thousand people to give a one-time gift of $300 to this special effort. If you cannot personally give this amount, will you not give what you can and go to other soul-conscious people such as yourself and ask them to join you in this effort to reach perhaps millions of souls in India? We ask, if possible, that this support be in addition to any assistance you are now giving to Truth for Today World Mission School. If the congregation where you attend is not a supporter of Truth for Today World Mission School, will you approach the leaders and ask them to consider helping in this special effort by giving a one-time of gift of at least $300 from the church treasury? If you are aware of congregations who support mission work in India but may not know of this special effort, please contact them or send us their contact information. This will not only help us raise the funds for this project, but it will also help us set up a distribution system across India to give the masses a chance to know the saving message of Jesus Christ and Him crucified. Finally, we ask that you pray to God daily on behalf of this special effort. Pray that the funds will be found, pray that the books can be sent out, and pray that millions of people in India will have the opportunity to know Christ. To ensure that your gift will be used for this effort, please write India 2009 on the memo line of your check or click the paypal link below.